It couldn’t be called a movement if we were standing still. 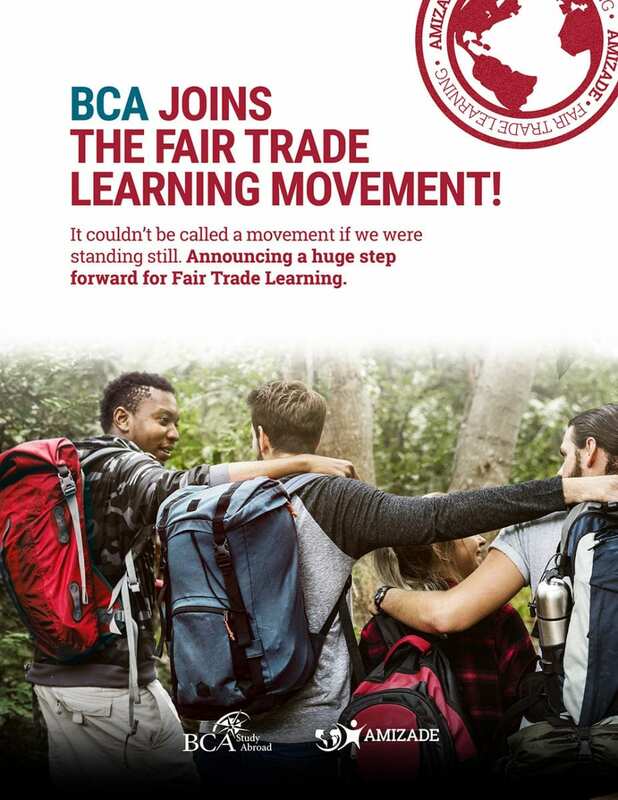 Announcing a huge step forward for Fair Trade Learning. BCA Study Abroad is a mission-driven non-profit organization that has been committed to helping students understand the complexities of the contemporary world by providing quality academic programs and cross-cultural learning in locations around the globe. BCA programs are designed to empower and inspire students to be informed and active global citizens, leading change for a more peaceful and just world. Come to Pittsburgh and attend our big summit and celebration on September 21, 2019 (International Day of Peace).